Just back from vacation on the Isle of Wight in the UK. 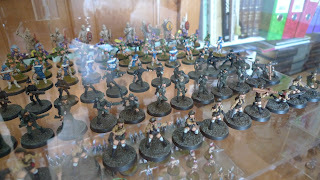 Whilst there I visited the offices of Fighting 15s and viewed some new 15mm figures from Oddzial Osmy of Poland. 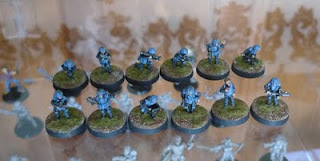 Ian of Fighting 15s gave me the full tour of his operation and display cabinets and I picked up various Eureka models including the very nice German sci-fi 15mm models. Ian had pre-painted the Oddzial Osmy models, so I got a quick photo of these fine 15mm scale figures which are due for release later in the year. I also have some better video of the full cabinet which I will share over the weekend on the youtube account. 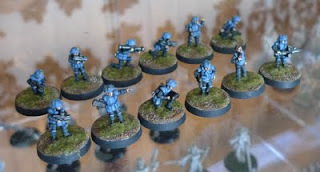 Oddzial Osmy 15mm SCI-FI - very nice stubby assault rifles. I have been experimenting today with some photography with a new background and layout in my hobby room. Hopefully with time and some tweaking of the camera kit I can improve on these gif's below with some more interesting photography. 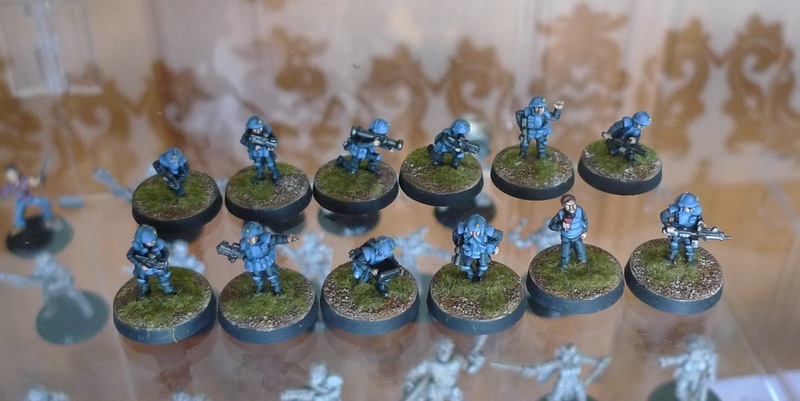 My next plan is to photo all the 15mm models I have started preparing in "Starter Gruntz" armies. 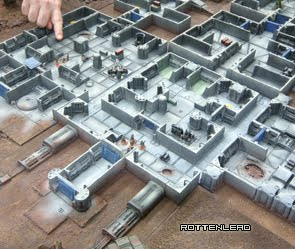 The range includes Art Crime, GZG and CMG and they will be grouped to show potential places to start with vehicles and troops to be able to enjoy a varied game of Gruntz 15mm. I am still settling in after the holiday and planning the next batch of prep and painting. I did manage to get halfway through two squads of Critical Mass Games Protolene models whilst on holiday and will share progress soon. 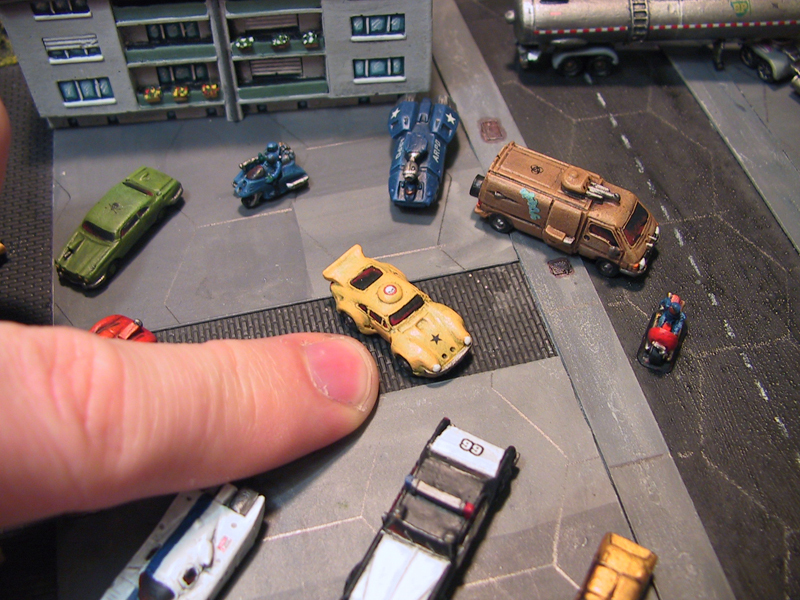 6mm Battle Cars van on a command base.